It is what you haven’t done that will torment you. For me, The Woman Upstairs had a great start and a good end, but lagged in the middle. Her writing was wonderful throughout, which is what got me through all the art-talk, and Nora’s internal dialogue about the Shahids and how they make her feel. That stuff was okay, but I would have liked it more if there had been less of it. The writing kept me going, but also the fact that I wanted to know what was going to happen between Nora and the Shahids that has put her in such a rage. And, once I finally got to the end, I suddenly wanted to know more. We will forever be in the same boat as Nora – not knowing why, how, or what the Shahids were thinking. Overall, I’m glad I read it. 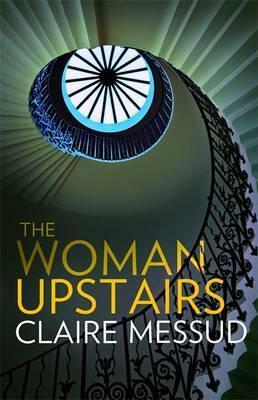 The idea of the Woman Upstairs is fascinating to think about (especially being around the same age as Nora). It could happen to any of us. It’s so easy to just let life happen and let the years slip by. … hunger of one kind or another – desire by another name – is the source of almost every sorrow. It’s the strangest thing about being human: to know so much, to communicate so much, and yet always to fall so drastically short of clarity, to be, in the end, so isolate and inadequate. It was longing – “longing” is a better word than “desire”: it carries its quality of reaching but not attaining, of yearning, of a physical pull that is intense and yet melancholy, always already a little sorrowful, self-knowing, in some wise passionate and in some measure resigned. Desire suggests a burning, fervid, unreflective, something that wants, above all, satisfaction. And what you have to see about my Shahids is that always, at any moment… I always knew that my desire could not be satisfied, that it would never be satisfied; but that I was still close enough to hold on, intermittently, to the fantasy of its satisfaction, and that this, this was enough to keep it, for so very long, alive. 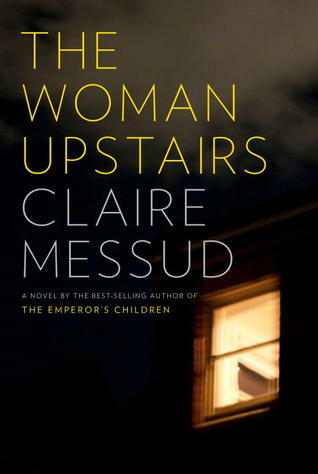 The Woman Upstairs was longlisted for the 2013 Scotiabank Giller Prize, and Claire Messud is most well known for writing The Emperor’s Children. I liked it at first when she was really angry, but after a while she did start to grate. That beginning is a great hook. I should probably pick this one up. Thanks for the review! I didn’t enjoy The Emperor’s Children all that much, so I’ve been hesitant to pick this one up, even though most reviews I’ve read of it have been positive. Glad you liked it well enough. I didn’t really like The Emperor’s Children either, and have wondered why she is so well known for it. Anyway, I obviously gave her another try. I liked this one better. Totally agree with you. I loved the beginning and end, but struggled so hard through the middle. I absolutely loved the writing, though, and still recommend it, if nothing else to read those first few brilliant pages. Yes, wonderful writing! And, some good insights, too. This is one I can never figure out if I want to read. It had fair to good, but not great, reviews in the press, but the premise just makes me uncomfortable. I was the same as you – I’ve been going back and forth on it since it came out. A comment someone made about it recently (I can’t remember who or what it was) finally decided me to just read it for myself. I thought the premise sounded interesting, so if it makes you uncomfortable, you might want to continue to avoid it. Uncomfortable is not exactly right. Maybe just not interesting to me. I nearly read this when it came out in paperback, but then I picked it up in the library and the opening pages put me off somewhat. You know it’s funny, I’m usually okay with unlikeable or angry characters, but something about this one just didn’t appeal. I suspect it might be a good novel for book groups as the main character will divide opinion. I think it would make a good book group pick – there would be some strong opinions. I’d say that if it didn’t grab you at the start, not to bother with it. 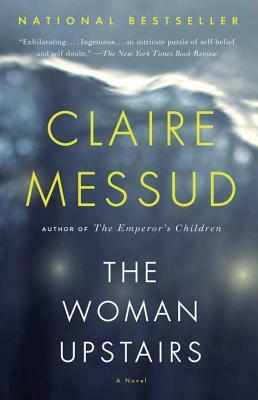 My book group really hated this so much, just me and one other woman got that you don’t have to like the main character and that it’s OK for them to do insane illogical things, in fact, it can make things fun! But you are right, there is not the same energy in the middle of the book as the beginning and the end. I agree completely – it can be fun to dislike a character, or to disagree with their actions. The biggest problem I had with the book was it’s long, slow middle. Did your book group hate it in a good way (generating a lot of discussion), or just plain hate it? The main discussion was about what constituted art, and yes there was “good hate”, although it can be really hard to hold onto that thought at the time. I felt really sorry for the woman who chose it, and I’d supported her choice too! Oh, good topic for discussion – I was wondering about the art thing, too, but I don’t know enough about art to tackle it in a review. I didn’t either until my friends talked about it. It was an eye opening discussion for me, actually, I would say even life changing. I was so excited to read this! And it started off so strong and I was so intrigued and then I went off it and just wanted to get to the POINT. In the end, I get why she was so angry but I definitely wish that that revelation had come sooner and we could have seen the fallout. I agree. I was just trying to read through as fast as I could to get to what happened at the end. And, then we don’t even get to know all of it – we are left guessing. Oh well. Some good writing and good ideas to ponder as I read. I read The Emperor’s Children a few years ago, but remember not liking it much. I liked this one better for sure, and her writing is so good. I haven’t read any of her others. What ones have you got? I love a good angry protagonist, but like Kay, I’ve never felt truly compelled to pick up this book–but now I might just to read the beginning. Thanks Naomi! Not sure. The slog part worries me. For now, I’ll live vicariously on hearing about this one. Wow, yes, that writing! I’m not sure if I’ll pick it up, because I don’t think good writing is enough on its own for me to love a book, but I’m definitely tempted! If it wasn’t for the writing I might not have made it through, but, I agree that just good writing doesn’t always cut it. Luckily, there was more to it than that, just a long drawn-out middle. I enjoyed this one I have to say. I liked her anger and felt I could understand her, being around the same age. Those are the things I like about it, too. I was fascinated with the concept of it, also being around her age. And, I loved her anger at the beginning and end.